Zentiva Group chose to collaborate with Czech companies and incorporated a walking treasure hunt teambuilding activity focused on exploring Prague into its programme. The concept of the event was designed to achieve a high level of cooperative engagement with the participants employing the top AV technology. The catering services were composed as a festival of food and beverages from the sixteen countries where Zentiva Group is established. Professor Vlček belongs to the leading contemporary personalities of the Czech pharmacoepidemiology and clinical pharmaceutics. He has made a number of crucial contributions towards organisation of many significant scientific events, such as the European Symposium on Clinical Pharmacology 2013, European Symposium on Patient Adherence, COMpliance and Persistence 2015, Annual Meeting of the International Society of Pharmacovigilance 2015 or the International Conference on Pharmaco-Epidemiology and Therapeutic Risk Management 2018. "I would like to use this opportunity to express our gratitude to the ambassadors awarded this year, and to all our congress ambassadors. Their active engagement into the process, starting from the candidacy and ending with the congress itself, requires a great amount of their effort and patience. The awarded and nominated congresses often hold many primacies and records indicating the increasing attractivity of Prague as a meeting destination. 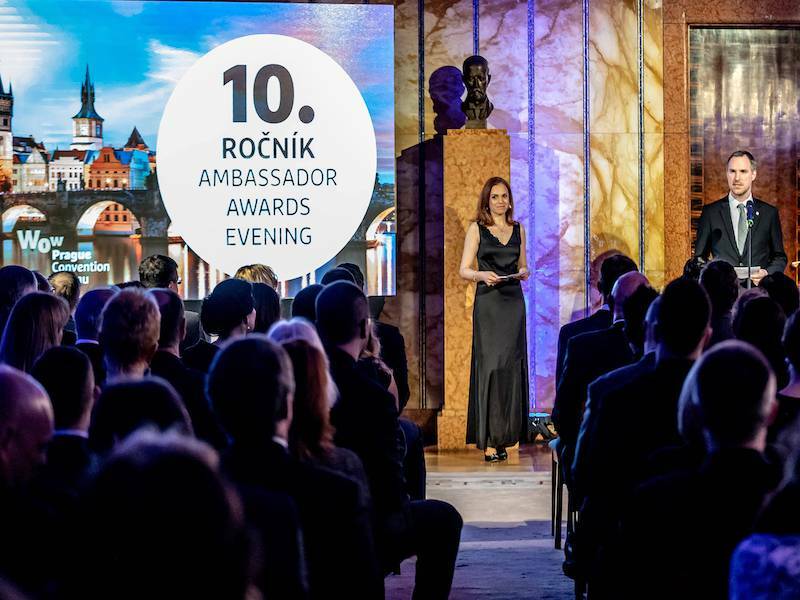 Local scientific community can thus profit from numerous opportunities to develop and improve its knowledge in a wide range of scientific fields,” adds Lucie Čapková from the Prague Convention Bureau Ambassador Program.